Whether you’ve visited McGregor Hall before or you're planning your first visit here, we want to extend a special welcome to you and your party. Our goal is to make all our guests feel like they are at home. From our comfortable, up-close seating to our state-of-the-art acoustics, you are sure to find that there’s not a bad seat in the house. McGregor Hall was built with you in mind. 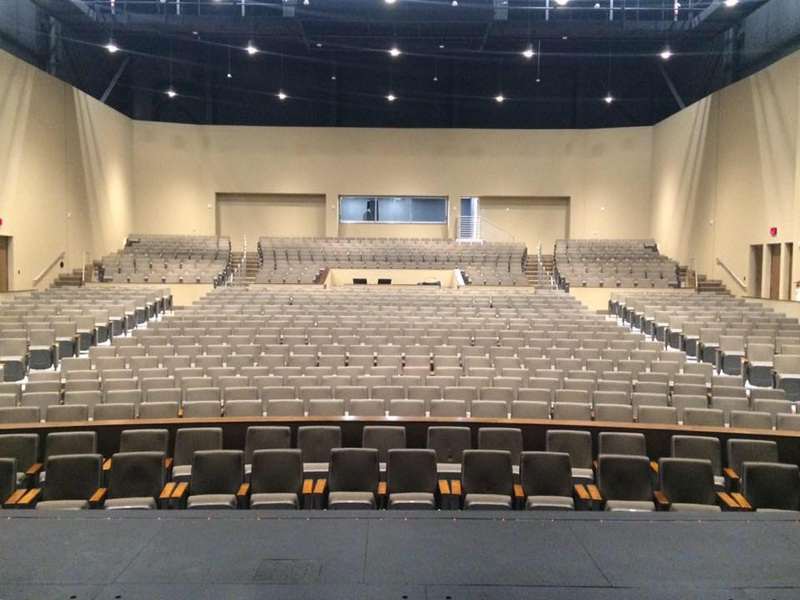 Designed by the architectural firm Szostak Design who designed the Durham (N.C.) Performing Arts Center, each and every seat is placed for optimum view and acoustics, and the seats are easily accessible from the wide, well-lit aisles. Click the image above for an enlarged seating diagram. A total of 1,000-seats are available within the theater and grouped within 7 sections. The orchestra area, located at center stage, is available for seating during certain shows when a live performing orchestra is not in use. The main tier offers a center section and a left and right wing. The upper tier also offers a center section and left and right wings. Seating options and pricing option vary with each event and some performances allow for general admission (GA) while others provide reserved seating options. GA seats are not assigned or reserved and are occupied on a first-come, first-serve basis. or call or visit our Box Office at 201 Breckenridge Street (T-F 1-5pm), (252) 598-0662. Truly, there's not a bad seat in the house! So pick the seats for you and your party - and get ready to relax and enjoy a fantastic performance! McGregor Hall is 100% ADA-Compliant handicapped-accessible. We have ample seating available for guests in wheelchairs and other special needs. CLICK HERE for more information on Accessibility. As you enter the performance hall, keep an eye out for engraved brass plaques on the back of seats. These plaques showcase honorees that have donated to the theater as part of the Take a Seat campaign. If you're interested in making your mark at McGregor Hall, CLICK HERE for more information.